Aloha Maui and the wider world! This year I decided to consolidate the puka drive into one month - "Pass a Puka on Month" to create one large wave of community compassion and giving. We will be supporting 3 Maui women that have been nominated or have reached out for assistance in their healing process by collecting pukas and making them puka necklaces. Drop jars will be open for puka collection at all 5 of our locations through the month of November. Our hope is that through the webs of social media and the ohana circles of these women, we can touch as many people across our island as possible. I believe the healing goes both ways, as it is what we do for each other that heals. 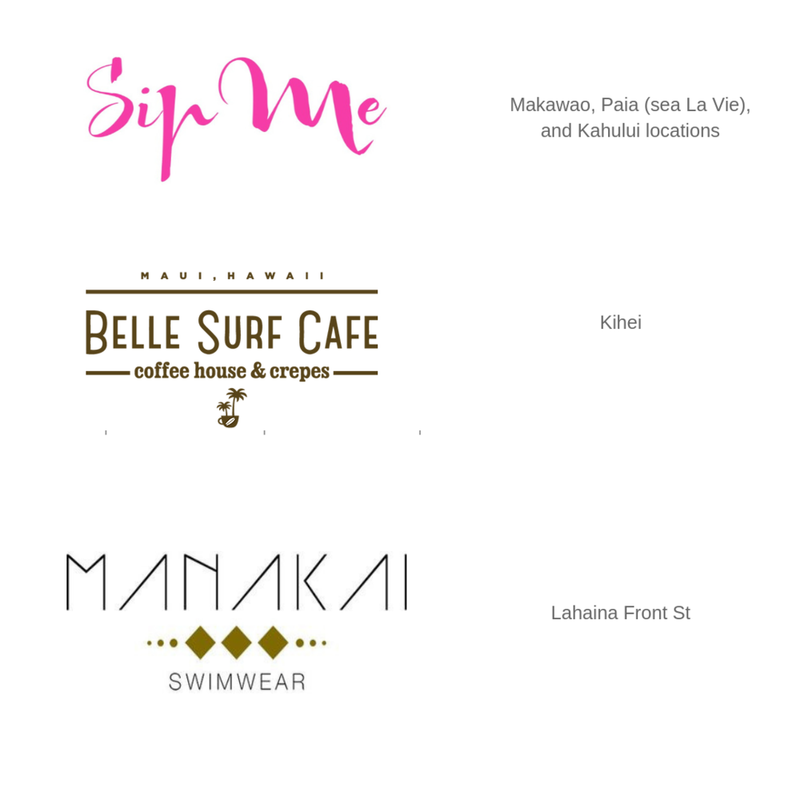 Look out for drop jars at our amazing puka project partners counters- Belles Surf Cafe, Sip Me (all 3 locations), Manakai Swimwear. These 3 inspiring women deserve all of the love. Lets send it to them through the seas gifts of Puka shells. The women this season all also happen to be incredible writers, so I will share more about them and their journey through their eyes throughout the month. Healing from the loss of her soulmate, finding her new path. Amy's home of 8 years stood on the hills of Lahainaluna. That all changed this August when a fire from hurricane lane burnt it down. Amy does not resonate with the label "victim of the fire". 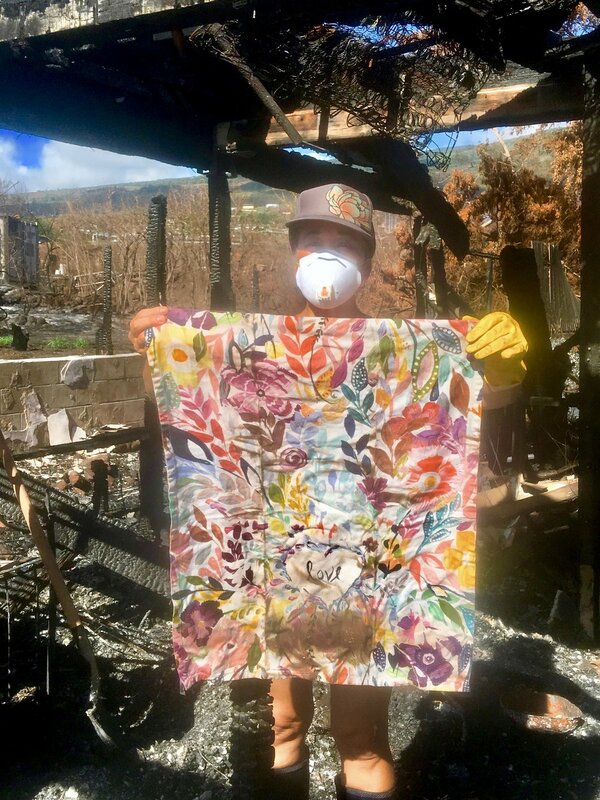 She writes "Yes, a fire vortex took my residence and most items I’ve ever owned. But I feel the gifts received have far outweighed that which was lost. I am changed from this experience- I now feel the community, locally and globally, so vividly, as if we all exist on the same web of life. I feel the fire was a way for the universe to speak to me, deliver a life lesson, and remind me that I am not forgotten." A young woman emailed me and shared her story of two sexual assaults during her college years. She describes first denial and then loss of self love, respect, and esteem. For 9 years she has lived with the wound deepening as she self abused and suppressed healing. After moving to maui her broken heart called her to heal. The energy of her email conveyed such strength and determination to heal, I knew I had to support her with a puka project necklace. She writes “I am healing. Day after day I struggle to move forward. I am heading into the light but the puka within myself is still ever-present. I am going to turn that hole into being whole. I know I can do it. I have to. To save myself. I am working so hard on this healing journey. Her writing was so raw and so beautiful it brought me to tears. “ A kitchen towel that said love. When I saw it, I exclaimed, "Love survived!"" Everyone is invited to be a part of the Puka Project. The success is entirely in the hands of our community members. Lets support healing. community. inclusiveness. love. WHERE TO DROP YOUR PUKAS? SEE BELOW! Get news and updates from Perri! We respect your privacy and will never share your contact information with others.